Operating in a fast-paced software services environment where the mix of technologies required for new customers and projects are ever-changing, we are always looking for employees who are fast learners, and have excellent people skills and a "can do" attitude. Research, design, install, configure, troubleshoot, maintain and upgrade hardware and software interfaces for computer applications. Analyze and evaluate present or proposed business procedures or problems to define data processing needs. Develop and write computer programs to store, locate, and retrieve specific documents, data, and information. Write, analyze, review, and rewrite programs, using work flow chart and diagram, and applying knowledge of computer capabilities, subject matter, and symbolic logic. Implement software as per functional requirements. Write related technical documents. Effectively collaborate with cross functional teams. Perform similar work-related duties as assigned. Utilize VTK, QT, Unity3D, Visual C++, and SQL Server. Requires Master's Degree in Computer Science or related, and 2 years of experience (before or after Master's degree) in software engineering, computer programming or related; OR in the alternative a Bachelor's Degree in Computer Science or related, and 5 years of progressive, post-bachelor's experience in software engineering, computer programming or related is acceptable. Any suitable combination of experience of education, training, or experience is acceptable. Travel to unanticipated worksites nationwide will be required. Remote employment is an option in some instances. Required Skills: Must have two years of hands-on experience using the following technologies: VTK, QT, Unity3D, Visual C++, and SQL Server. Research, design, install, configure, troubleshoot, maintain and upgrade hardware and software interfaces with the operating system. Analyze and evaluate present or proposed business procedures or problems to define data processing needs. Develop and debug embedded applications in a multi-tasking and multi-threaded environment. Write, analyze, review, and rewrite programs, using work flow chart and diagram, and applying knowledge of computer capabilities, subject matter, and symbolic logic. Implement software as per functional requirements. Write related technical documents. Effectively collaborate with cross functional teams. Perform similar work-related duties as assigned. Utilize C/C++, Nucleus Real Time Operating System (RTOS), Nucleus Process Model and Multithreaded embedded systems, Mentor ’s Nucleus ReadyStart, 5 years of real time embedded systems programming, ARM controllers and processor, and Assembly language. 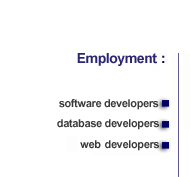 Bachelor's Degree in Computer Science or related, and five years of progressive, post-bachelor’s experience in software engineering, computer programming or related. Required Skills: C/C++, Nucleus Real Time Operating System (RTOS), Multithreaded embedded systems, Mentor ’s Nucleus ReadyStart, real time embedded systems programming, ARM controllers and processor, and Assembly language. Research, design, install, configure, troubleshoot, maintain and upgrade relational databases and data-warehouse systems. Analyze and evaluate present or proposed business procedures or problems to define data processing needs. Develop and debug database applications and business intelligence platforms. Write, analyze, review, and rewrite programs, using work flow chart and diagram, and applying knowledge of computer capabilities, subject matter, and symbolic logic. Implement software/databases as per functional requirements. Write related technical documents. Effectively collaborate with cross functional teams. Perform similar work-related duties as assigned. Utilize Data Warehouse design and development, ETL, Big Data, Teradata ETL Utilities & Warehouse Miner, Informatica PowerCenter, IBM Modeler, SAS Enterprise Miner, and SQL. Requires Bachelor's Degree in Computer Science or related, and five years of progressive, post-bachelor’s experience in software engineering, computer programming or related. Travel to unanticipated work-sites nationwide will be required. Required Skills: Data Warehouse design and development, ETL, Big Data, Teradata ETL Utilities & Warehouse Miner, Informatica PowerCenter, IBM Modeler, SAS Enterprise Miner, and SQL. If you are interested in applying for a position with PeakPoint, please email us at hr@peakpoint.com with your resume and personal information.